NuPar Horn Button now available! Thread: NuPar Horn Button now available! 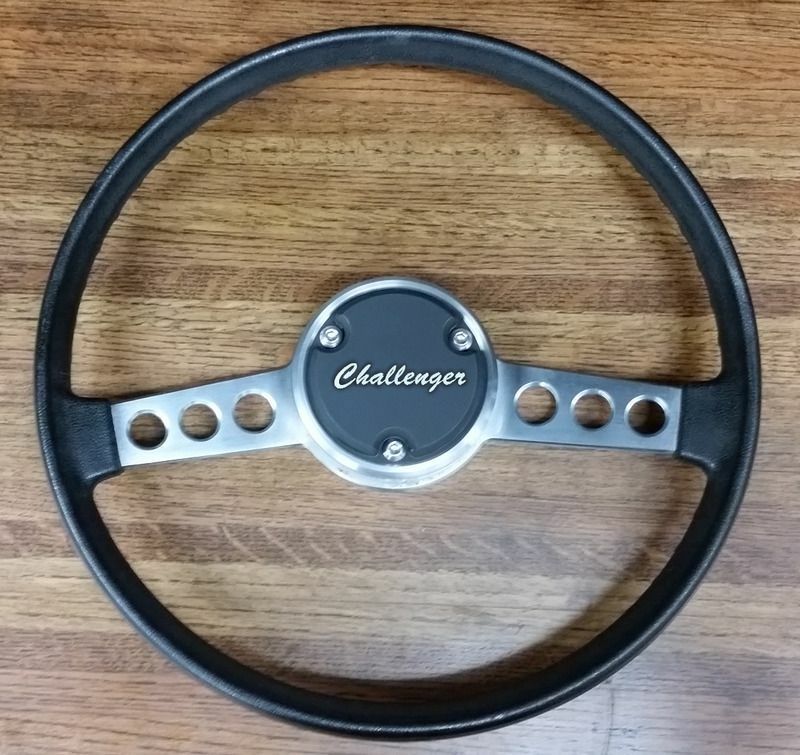 I am in the process of pro touring my '72 'Cuda and have been finding items that I wish were offered in the aftermarket. Therefore, I have decided to start my own line of custom parts. The first product in the NuPar line of aftermarket Mopar parts intended to give the build, who appreciates the original design but wants a modern twist, an affordable alternative. The NuPar Horn Button is styled after the original plastic Rim Blow button. It is made entirely from CNC machined 6061-t6 aluminum and comes standard in a brushed finish. Optional finishes will be available such as anodized (various colors) and dipped wraps including carbon fiber at an additional fee. The button is intended to fit any '70-73 'Cuda and Challenger wheel that uses the original Mopar style horn switch . It will not fit the rim blow wheel as it does not mount using a spring. Instead it bolts securely into the horn button switch. 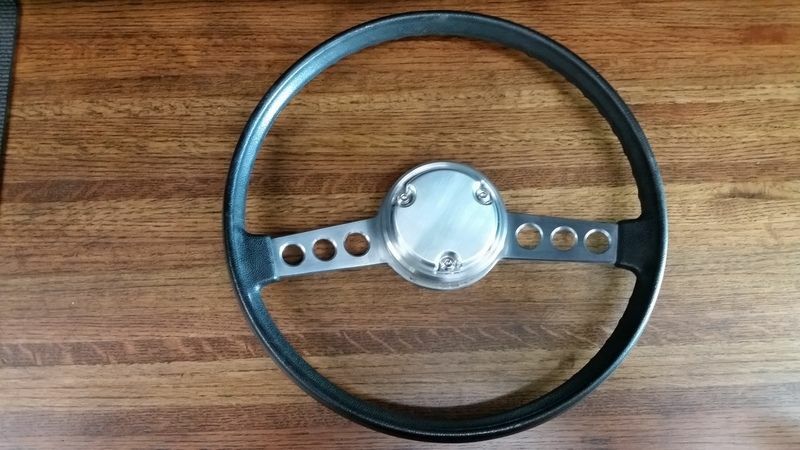 This is the NuPar horn button on an original Rally wheel. 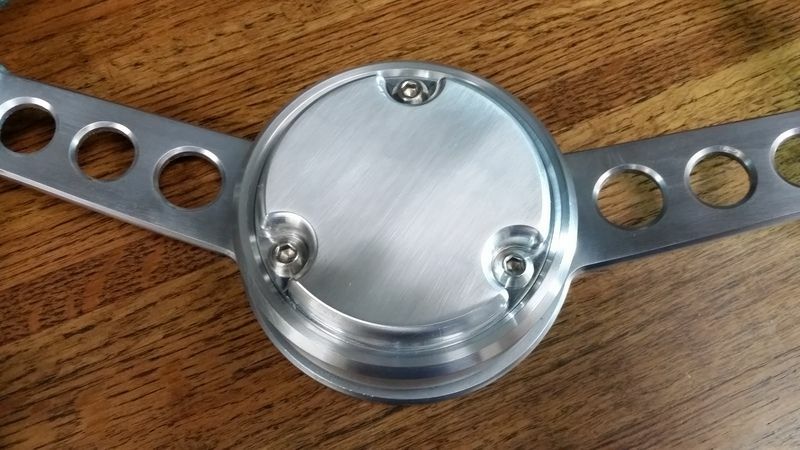 The center cap can be painted or coated. It can be ordered with any logo or name photo etched on the button also. This is what comes in the kit. We are offering an introductory price of $175 +sh. This offer good until the 2nd of January only. As this is our first offering and we were trying to have them available for Christmas, payment must be either a personal check or PayPal (we'll even eat the PP fee's) no credit cards yet. If interested shoot me a PM and I will do all I can to have it to you before the jolly guy in the red suit comes. Nice looking stuff, good to see new parts available! Thanks for kind words Brad. This is a well thought out part. It fits nice and tight on any Mopar wheel. very cool! now you can have your cars manufacturer logo embossed on your head when your head hits the steering wheel in a accident! lol Its a pretty sweet looking piece and glad to see more mopar aftermarket bits!